Bringing a taste of Chicago to the Pacific Northwest! 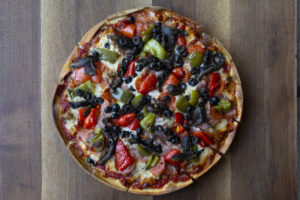 Welcome to Bridge City Pizza, the dream of two brothers originally from Chicago. 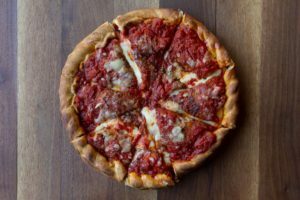 We make an authentic Chicago-style thin crust, with cheese, toppings, and our sweet sauce brought right to the edge. 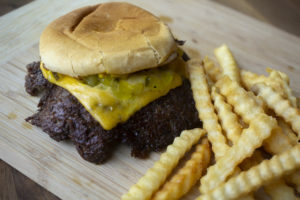 Our sandwich and burger menu, from our slow-roasted, house-made Italian Beef to our signature One-Way Burger, brings Chicago tradition to Portland. We offer only the highest quality ingredients, prepared with care, to create a menu we take pride in sharing. 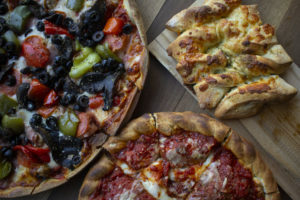 We are convinced that combining the best flavors from two great cities will produce the best pizza anywhere. Our family is proud to call Portland our home and we look forward to growing with the community we serve. Would you like your order delivered? 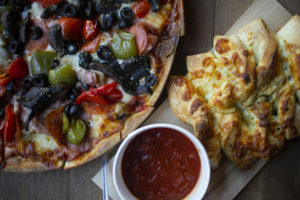 We are now partnered with Postmates.com to bring our menu right to your door. Click here to order delivery today!